Almost always when we talk to companies, the number one reason they choose to move to the cloud is the agility and speed that they can move with. With cloud computing, you are able to spin up thousands of servers in minutes as opposed to the 10 to 18 weeks it typically takes to spin up servers being used on-premises. The AWS Cloud provides more than 90 services - everything from compute, storage, and databases to continuous integration, data analytics, and artificial intelligence - at your fingertips. This means you can go from idea to implementation in seconds rather than months. There are a lot of reasons why customers are migrating to the cloud. Some are migrating to the cloud to increase the productivity of their workforce. We also see a lot of companies with a data center consolidation or rationalization projects migrating to the cloud, especially those that are preparing for an acquisition, divestiture, or have otherwise experienced infrastructure sprawl over the years. Additionally, there are companies that are looking to completely re-imagine their business using modern technology as part of a larger digital transformation program. And of course, organizations are always looking for ways to improve the bottom line by reducing their costs. AWS has millions of active customers every month and every imaginable vertical business segment in the enterprise is using AWS in a meaningful way. In financial services it's Capital One, Intuit, FINRA, and Barclays. In healthcare, we have Johnson & Johnson, Merck, Pfizer, and Bristol Myers Squibb. In oil and gas there is Shell, BP, and Hess. In manufacturing, we have customers such as GE, Philips, and Schneider Electric. There is also Netflix, Samsung, Adobe, and Autodesk in technology. Key components of operational costs are unit price of infrastructure, the ability to match supply and demand, finding a pathway to optionality, employing an elastic cost base, and transparency. Typically, productivity is increased by two key factors: not having to wait for infrastructure, and having access to the breadth and depth of AWS with over 90 services at your disposal that you would otherwise have to build and maintain. In fact, it is common for us to see workforce productivity improvements of 30-50% following a large migration. Eliminating the need for hardware refresh programs and constant maintenance programs are the key contributors to cost avoidance. We are finding that customers have no interest in the cost and effort required to execute a big refresh cycle or data center renewal. This may seem obvious, but reducing your organization’s risk profile will also reduce the cost of risk mitigation. With 16 Regions comprising 42 Availability Zones (AZs), AWS has the global footprint to improve uptime, thereby reducing your risk related costs. Migrating to the AWS Cloud helps increase your overall operational agility. This lets you react to market conditions more quickly through activities such as expanding into new markets, selling lines of your business, and acquiring available assets that offer a competitive advantage. 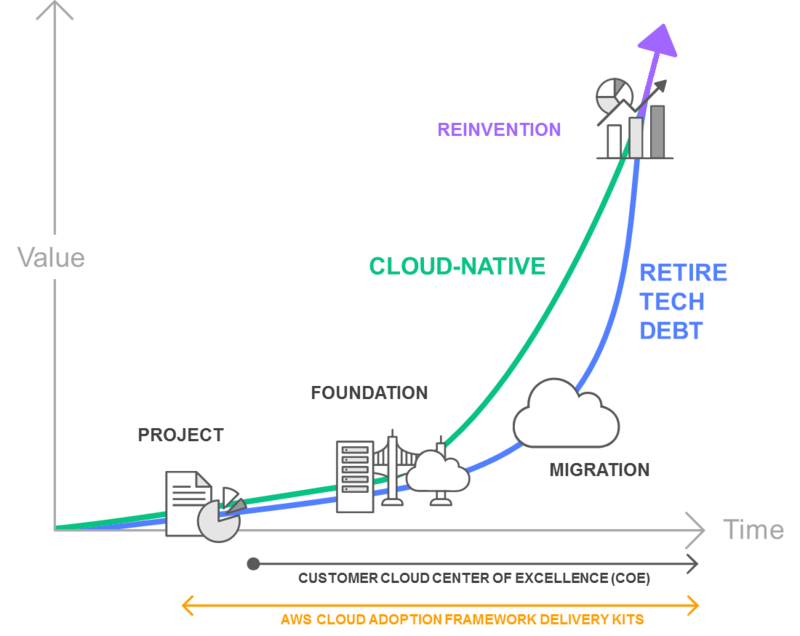 The path to cloud adoption is unique for every enterprise. The stages of adoption described here can be a useful way to understand some of the steps involved. In the project phase, you are running projects to get familiar and experience benefits from the cloud. After experiencing the benefits of cloud, you then build the foundation to scale your cloud adoption. This includes creating a landing zone (a pre-configured, secure, multi-account AWS environment), Cloud Center of Excellence (CCoE), operations model, as well as assuring security and compliance readiness. In this stage, you migrate existing applications including mission-critical applications or entire data centers to the cloud as you scale your adoption across a growing portion of your IT portfolio. Now that your operations are in the cloud, you can focus on reinvention by taking advantage of the flexibility and capabilities of AWS to transform your business by speeding time to market and increasing the attention on innovation. Here you determine the right objectives and begin to get an idea of the types of benefits you will see. It starts with some foundational experience and developing a preliminary business case for a migration. This requires taking your objectives into account, along with the age and architecture of your existing applications, and their constraints. We have partners such as RISC Networks, Atadata, Cloudamize, TSOLogic, and Apptio that have experience in this area. Next, you need to understand your IT portfolio, the dependencies between applications, and begin to consider what types of migration strategies you will need to employ to meet your business case objectives. With the portfolio discovery and migration approach, you are in a good position to build a full business case. If you need help with understanding your IT portfolio, you can work with partners such as RISC Networks, Cloudamize, and Atadata as well as use AWS Application Discovery Service. Here the focus moves from the portfolio level to the individual application level and you design, migrate, and validate each application. Each application is designed, migrated, and validated according to one of the six common application strategies (“The 6 R’s”). Once you have some foundational experience from migrating a few apps and a plan in place that the organization can get behind - it’s time to accelerate the migration and achieve scale. 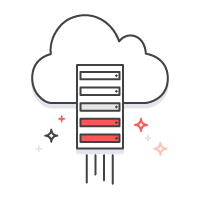 Partners such as Cloudendure, CloudVelox, Atadata, Racemi, and Attuinity can help you here as well as AWS Server Migration Service (SMS) and AWS Database Migration Service (DMS). As applications are migrated, you iterate on your new foundation, turn off old systems, and constantly iterate toward a modern operating model. Your operating model becomes an evergreen set of people, process, and technology that constantly improves as you migrate more applications. We have partners such as AppDynamics, NewRelic, and Dynatrace that can help you continue to iterate on your operating model as you move more to the cloud. Organizations usually begin to think about how they will migrate an application during Phase 2 of the migration process. This is when you determine what is in your environment and the migration strategy for each application. The six approaches detailed below are common migration strategies employed and build upon “The 5 R’s” that Gartner outlined in 2011. You should gain a thorough understanding of which migration strategy will be best suited for certain portions of your portfolio. It is also important to consider that while one of the six strategies may be best for migrating certain applications in a given portfolio, another strategy might work better for moving different applications in the same portfolio. In a large legacy migration scenario where the organization is looking to quickly implement its migration and scale to meet a business case, we find that the majority of applications are rehosted. Most rehosting can be automated with tools such as AWS SMS although you may prefer to do this manually as you learn how to apply your legacy systems to the cloud. You may also find that applications are easier to re-architect once they are already running in the cloud. This happens partly because your organization will have developed better skills to do so and partly because the hard part - migrating the application, data, and traffic - has already been accomplished. This entails making a few cloud optimizations in order to achieve some tangible benefit without changing the core architecture of the application. For example, you may be looking to reduce the amount of time you spend managing database instances by migrating to a managed relational database service such as Amazon Relational Database Service (RDS), or migrating your application to a fully managed platform like AWS Elastic Beanstalk. This is a decision to move to a different product and likely means your organization is willing to change the existing licensing model you have been using. For workloads that can easily be upgraded to newer versions, this strategy might allow a feature set upgrade and smoother implementation. Typically, this is driven by a strong business need to add features, scale, or performance that would otherwise be difficult to achieve in the application’s existing environment. If your organization is looking to boost agility or improve business continuity by moving to a service-oriented architecture (SOA) this strategy may be worth pursuing - even though it is often the most expensive solution. Identifying IT assets that are no longer useful and can be turned off will help boost your business case and direct your attention towards maintaining the resources that are widely used. You may want to retain portions of your IT portfolio because there are some applications that you are not ready to migrate and feel more comfortable keeping them on-premises, or you are not ready to prioritize an application that was recently upgraded and then make changes to it again. 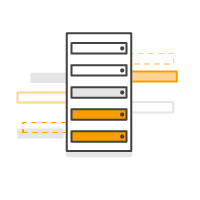 AWS Database Migration Service (DMS) helps you migrate databases to AWS easily and securely. The source database remains fully operational during the migration, minimizing downtime to applications that rely on the database. 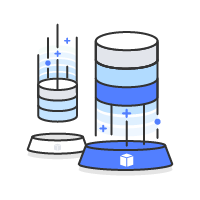 The AWS Database Migration Service can migrate your data to and from most widely used commercial and open-source databases. Currently in Technology Preview, VMware Cloud on AWSwill be a new solution that makes it easy for customers to run VMware workloads on the AWS Cloud. Customers will be able to use VMware’s virtualization and management software to seamlessly deploy and manage VMware workloads across all of their on-premises and AWS environments. This new offering will allow customers to leverage their existing investments in VMware skillsets and tooling to quickly and seamlessly take advantage of the flexibility and economics of the AWS Cloud. Amazon S3 Transfer Acceleration makes public Internet transfers to Amazon S3 faster. You can maximize your available bandwidth regardless of distance or varying Internet weather, and there are no special clients or proprietary network protocols. Simply change the endpoint you use with your S3 bucket and acceleration is automatically applied. AWS Snowball is a petabyte-scale data transport solution that uses secure appliances to transfer large amounts of data into and out of AWS. Using Snowball addresses common challenges with large-scale data transfers including high network costs, long transfer times, and security concerns. 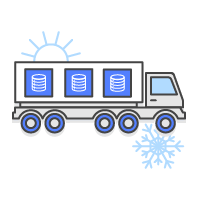 AWS Snowmobile is an exabyte-scale data transfer service used to move extremely large amounts of data to AWS. You can transfer up to 100PB per Snowmobile, a 45-foot long ruggedized shipping container, pulled by a semi-trailer truck. Snowmobile makes it easy to move massive volumes of data to the cloud, including video libraries, image repositories, or even a complete data center migration. AWS Direct Connect lets you establish a dedicated network connection between your network and one of the AWS Direct Connect locations. Using industry standard 802.1q VLANs, this dedicated connection can be partitioned into multiple virtual interfaces. This allows you to use the same connection to access public resources such as objects stored in Amazon S3 using public IP address space, and private resources such as Amazon EC2 instances running within an Amazon Virtual Private Cloud (VPC) using private IP space, while maintaining network separation between the public and private environments. Virtual interfaces can be reconfigured at any time to meet your changing needs. 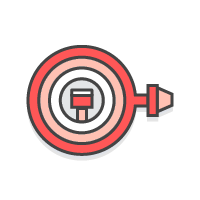 Amazon Kinesis Firehose is the easiest way to load streaming data into AWS. It can capture and automatically load streaming data into Amazon S3 and Amazon Redshift, enabling near real-time analytics with existing business intelligence tools and dashboards you’re already using today. It is a fully managed service that automatically scales to match the throughput of your data and requires no ongoing administration. It can also batch, compress, and encrypt the data before loading it, minimizing the amount of storage used at the destination and increasing security. 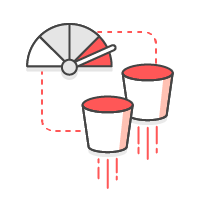 You can easily create a Firehose delivery stream from the AWS Management Console, configure it with a few clicks, and start sending data to the stream from hundreds of thousands of data sources to be loaded continuously to AWS – all in just a few minutes. Some large companies are moving a portfolio of 2,000 applications with upwards of 600 vendors included. During this process, companies spend countless hours, weeks, and months pouring over contracts and assessing rights to move current software. 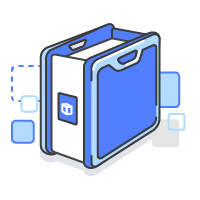 AWS Marketplace allows customers to select from more than 3,500 software listings offered by over 1,100 of our technology partners to make migrations faster and easier. Marketplace has over 400 bring your own license (BYOL) offers which enable fast provisioning and metered deployment of products customers may already own in areas like Security, Network, Storage, BI and Database, to name a few. Public provides a scalable, reliable, and affordable virtual environment for your growing business. When dependency is paramount, our 100% uptime guarantee and all-year 24/7 support means complete peace of mind We aim to take a consultative approach to your move to the cloud, case our consultants will work with you to understand your business needs and create a cloud strategy that ensures your move to the cloud is a success. Latest technology – Public cloud hardware and software is continuously updated to the latest technology to provide the elasticity and security expected from a public cloud. Elasticity – With virtually unlimited processing capabilities you can upgrade and downgrade your cloud servers resources within a few clicks. No maintenance – As it’s a public cloud the underlying infrastructure is fully maintained, leaving you with a hands off infrastructure. No contracts – As well as a pay-as-you-go model there are also no long term contracts. Sign up for either a monthly or annual subscription and once the term is over you are under no obligation to keep the service. 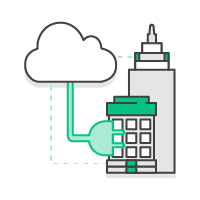 We offer a rich mix of on-premises, private cloud and third-party public cloud services. Our hybrid cloud allows businesses greater flexibility, as well as more data deployment options. What is a hybrid cloud? Hybrid cloud joins together an on-premise, private cloud and third-party, public cloud infrastructures with an encrypted connection and technology that makes data portable. By allowing workloads to move between private and public clouds as computing needs and costs change, hybrid cloud gives businesses greater flexibility and more data deployment options while maintaining data integrity and ensuring compliance with regulatory mandates and compliance standards. Physical Isolation: Fully isolated compute, storage, and network hardware that’s dedicated to you. Security: Your data is protected by our high level security services. Agility: Deliver features faster by providing your users with on-demand, self-service access. Agility: Enhanced security of dedicated, physically isolated network, compute and storage layers. Cloud Desktop What is DaaS? Desktop as a Service (DaaS) is a virtual cloud desktop for applications and email securely delivered over the web. Employees can securely access their data and applications from nearly any device, anywhere and as IT is run by a managed service provider, DaaS negates the need for local management of servers, hardware or software updates.